Today’s ultra-combative business environment is driving many organisations to turn towards a data-driven approach to accelerate sales performance. A tactic that is allowing them to steal a significant competitive advantage. However, becoming a data-driven sales machine requires a lot of background work and budget. It needs specialised technology and resources. On top of that, it requires data scientists that can deploy the technology to analyse the mountain of data collected. And it’s only in recent years that the data required to undertake this thorough activity has become truly available to businesses. Remember the dark old days of Excel spreadsheets and ambitious conjecture? Fast forward to the present day and we appear to be attempting to find intelligence from all sorts of weird and wonderful places. Everyone and their mother seems to be offering up data, like weather trends and traffic patterns, from obscure sources and in all sorts of colourful dashboards. A wonder world for the insight-hungry sales leader whose job it is to keep an eye on past approaches and envision the next bend in the sales process. As we strive to increase sales performance, we often fall into the trap of trying to monitor every possible metric that technology will allow us. Weighed down by all the data, we find ourselves paralysed, unable to see the wood from the trees. Just because we can measure everything, does it mean we should? When it comes to making strategic decisions, key performance indicators (KPIs) are a very good place to start. These are the metrics that tell a story – the story of where your business is and where it’s going - the tricky part comes in knowing exactly what that story is, how to unravel it and understanding its true implications. After years working with many different companies in all sorts of industries, we’ve concluded that selecting the right types of sales process KPIs to measure progress against is an overwhelming task, no matter the size of the business or the experience you have in the field. You may have an idea of what you want to know, but you need to drill down to pinpoint exactly what you need to know. The real question is - what can we measure that will specifically help us to achieve our desired goals? To recap, innovative sales managers gain visibility into their team’s performance by collecting and measuring sales KPIs that span the entire sales lifecycle. In a bid to save you time, budget and much head scratching, we’ve narrowed down a list of commonly used KPIs to the 4 we believe are most significant for every busy sales leader to consider. These measure the day-to-day activity of your reps and are actually 'leading’ KPIs, meaning that they have the power to influence what happens with your results-oriented metrics. It is often useful to bring a cadence focus to these activity metrics. For example: ‘book 3 meetings per day’ or ‘have 20 calls > 5 mins duration per day’. It sounds simple, but these are the fundamental building blocks that will drive success. Many organisation we work with analyse call patterns to determine connection success. This allows them to determine the ‘golden calling time’. In other words, help your reps by targeting them to make calls during this period – using the other portions of the day to execute other sales tasks such as researching new customers or updating account or close plans. Here’s a classic metric most managers keep an eye on, and for good reason. What do we mean by ‘Contact Scouting’? It’s the number of contacts that have been identified for an opportunity and their relationship to the deal accounted for. We all know that deals with a single contact have far less promise than those with a well mapped out contact hierarchy. Monitoring your salespeople’s contact scouting rate on deals will help you filter out which deals are more likely to close. This will help you determine which reps are racing towards target and which are lagging behind. Make your team participant of your target by sharing this data publicly so they can see how they stack up against each other. There’s nothing like a little competition to get your team motivated. How many of your prospects convert into customers? Discovering the average rate and the cadence behind this conversion will help you optimise your sales process. Track this metric against each individual to understand what factors make your prospects convert into customers. Is it down to the quality of the leads coming direct from Marketing? Is there a magic number of conversations before closure? Are your most successful closers better at qualifying weaker deals out faster? Use your findings as a benchmark to help focus your efforts on behaviours you know lead to successful outcomes. This will prevent your reps from getting burned out or stretched too thin. Finally, use conversion rates to compare different outreach methods, such as emailing or cold calling versus pursuing face-to-face interactions. These measure how well your reps are fairing against your selling targets. It doesn’t really matter whether your reps are making hundreds of calls a day unless they’re able to produce deal-closing meetings from them. Keep an eye on things like Close Rates, Deal Velocity and Calls per Opportunity. Gain some extra goodness from this one by using your data to work out what your most successful performers are doing to innovate around your sales process. What cadence are they following that’s giving them such great results? Use these high-value behaviours to coach the rest of the team. These are only a few metrics that will hopefully give you a steady place to start from. 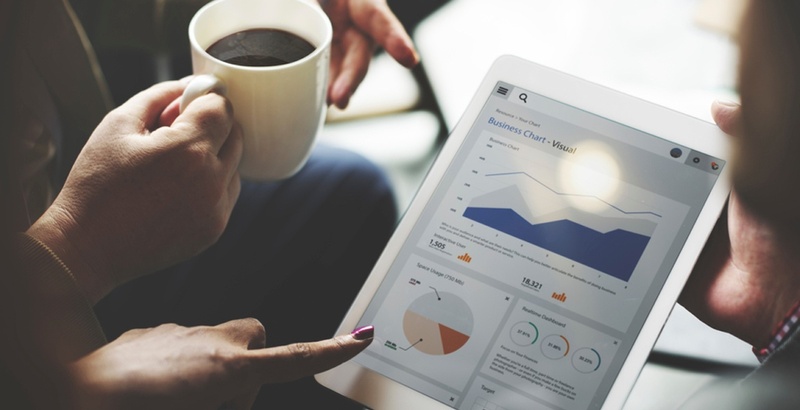 Once you feel you have a good grasp on these all-important KPIs, feel free to start building on top of them, creating a comprehensive analytics system that oversees your entire sales process. Time to Step It On Up? Download this compact and helpful checklist covering 70 practical KPIs that will help you increase your sales performance. Plus, we’ve thrown in 10 common sales coaching opportunities you need to jump on now to guarantee your next quarter. Want to learn more about running sales competitions? This blog post will get you started - you never know you might achieve results like SixPack Shortcuts who doubled their average sales price and reduced sales onboarding by 59 days using SuMo! Not bad, huh?